Episode 98: Gorman Bechard / Who Is Lydia Loveless? Gorman Bechard at the WNHH studio. On today's episode, host Tom Breen talks with prolific New Haven filmmaker Gorman Bechard about his latest rock documentary, Who Is Lydia Loveless? The movie follows a 24-year-old country rock musician as she tours the midwest in the early stages of her career, and dives deep on the challenges and joys of making art for a living. This week's episode is about It Happened, But Nobody Noticed, a 2009 documentary from directors Jerry Lombardo and Eric Michael Schrader that documents New Haven’s punk and New Wave underground music scene from 1978 to 1988. Host Tom Breen talks with Lombardo and Schrader about how this movie came to be; some of the bands, venues and unique personalities that made up New Haven’s punk and New Wave scene in the 80s; and the ways that movies and music can intersect to help us understand this specific time and place in our city’s underground cultural history. The second half of the show features a review of the new movie Denial. On today's episode of Deep Focus, host Tom Breen talks with local filmmaker Brendan Toller, director of the new documentary DANNY SAYS, about two movies that have had a profound influence on him as a watcher and maker of movies: BENJAMIN SMOKE, a 2000 documentary about a singer-songwriter, drag queen, speedfreak, misfit named Benjamin from Atlanta, Georgia, and SILVERLAKE LIFE, a 1993 documentary about a California couple living and dying with AIDS. On the second segment of the show, Tom interviews local filmmaker Russ D Martin about his new movie, ...an inappropriate affect. On today's episode of Deep Focus, host Tom Breen talks with Rich Hanley, Associate Professor of Journalism at Quinnipiac University and writer/director of the 2010 documentary Last Days at the Coliseum. Tom and Rich talk about the history of the New Haven Coliseum, and the symbolic intersections of hockey, rock and roll, wrestling, and urban renewal in mid-century downtown New Haven. The Land by Steven Caple Jr.
0:00 - 18:30 - review of THE LAND by Steven Caple, Jr.
On this episode, host Tom Breen talks to Bridgeport-based musician Chef the Chef and WNHH Station Manager Lucy Gellman about Steven Caple Jr.'s "The Land" and how the hip hop movie genre has evolved and grown over the last 30-40 years. On this episode of Deep Focus, host Tom Breen sits down with Connecticut filmmaker Mike Rhodes to discuss freelancing, music videos, and the benefits and challenges of making movies in the Nutmeg State. During the second part of the episode, Breen also talks to WNHH Station Manager Lucy Gellman about Jodie Foster's new flick "Money Monster," starring Julia Roberts and George Clooney. Higher Learning: Children of the Underground. Directed by Mike Rhodes. 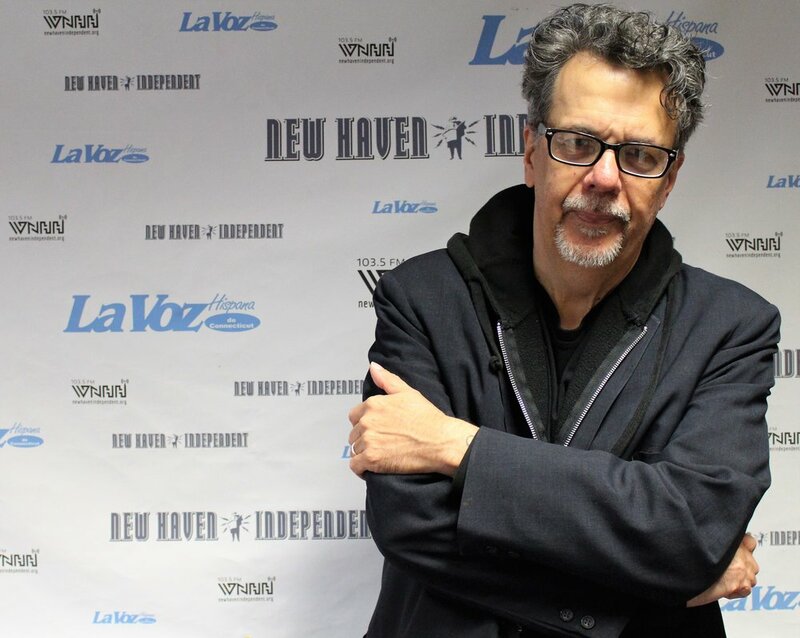 On today's episode, host Tom Breen talks with New Haven Independent staff writer Allan Appel and arts editor Brian Slattery about two new movies about legendary jazz trumpeters: Don Cheadle's MILES AHEAD, about Miles Davis, and Robert Burdreau's BORN TO BE BLUE, about Chet Baker. Tom, Allan and Brian talk through the representation of drug addiction in movies about musicians, the differences between music documentaries and music biopics, and the underlying assumption that there is some meaningful connection between the artist's biography and the art itself. Tom speaks with filmmaker Rebecca Abbott and historian Frank Mitchell about their 2001 documentary "Unsung Heroes: The Music of Jazz in New Haven." During the second segment, Tom discusses the latest Alan Bennett screen adaptation, "The Lady in the Van," with WNHH hosts Lucy Gellman and Allan Appel. Tom Breen talks with local filmmaker Gorman Bechard about rock docs, animal rights, and New Haven film culture. WNHH host Tom Breen sits down with local documentary filmmaker Brendan Toller to talk about his latest music documentary, DANNY SAYS, about the punk rock pioneer Danny Fields. Tom Breen talks with professor Ron Gregg and Yale grad student Lena Eckart-Erdheim about the new film series that focuses on 6 groundbreaking lesbian filmmakers. He then talks with Ken Winokur of the Alloy Orchestra about their score for Dziga Vertob's THE MAN WITH THE MOVIE CAMERA.